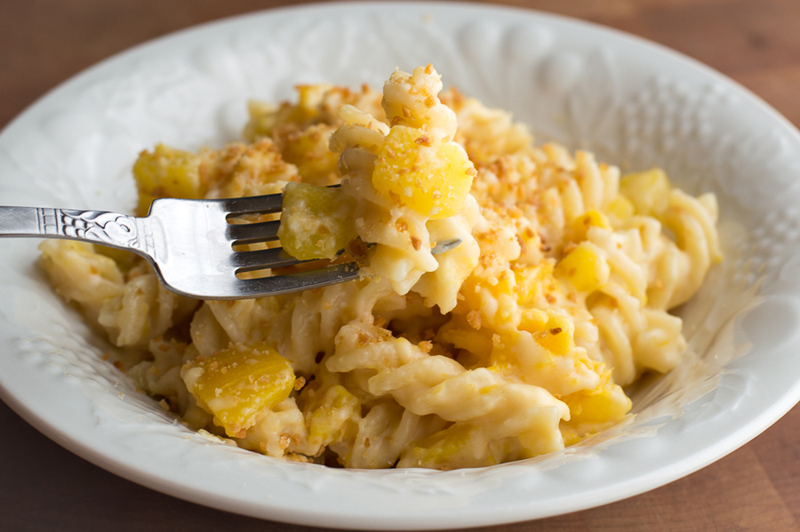 Macaroni and Cheese is certainly a kid favorite, but we felt like it needed a major makeover for Back to School! We’ve combined toothsome, al dente fusilli pasta with cubes of nutritious delicata squash, and everything is cooked right in the same pasta pot. 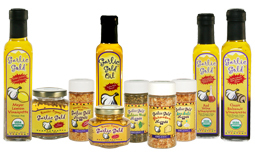 The cheese sauce is flavored with Garlic Gold® Oil instead of butter, for lots of flavor and lower cholesterol, too. Finally, our Garlic Gold® Parmesan Nuggets provide a perfectly crunchy topping, no baking required. We hope you enjoy it as much as we did!